Offers the best packages, with the most included, for the cheapest price!! They couldn't of been any nicer or more professional. The service they offered was truly excellent... their professionalism, their service, their demeanor...and the results are all first-rate. 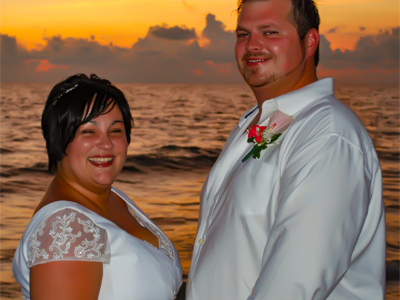 For over 12 years we have helped couples create a lasting memory on their big wedding day. Imagine, getting married on a beach, with an intimate ceremony, set against some of the most breath-taking backdrops mother nature has to offer. 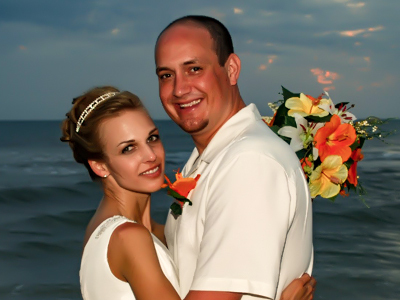 We offer unique beach weddings in Florida that are designed to make your wedding day memorable and beautiful. Photography, Professional wedding officiate Customized ceremony - traditional, spiritual, or non-religious... Plus Much More!! Photography plus everything included in the Ocean Waves package plus.. Sand Ceremony with a choice of decorations for the sand ceremony table and choose 2 or more colors from a list of 20 colors of sand. Plus Much More!! Photography, Heart altar or Hibiscus (heart-shaped or circle) , Unity sand ceremony, Blessing stones.... Plus Much More!! Wedding Arch decorated with white flowers and greenery. 16ft aisle of greenery with white flowers. Pair of silk flower arrangements in bronze urns. Plus Much More!! 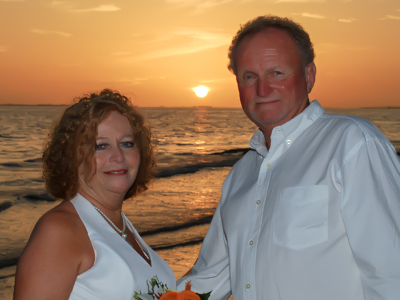 Our goal is to make your special day as wonderful as we can, and to treat your ceremony with the dedication, professionalism, and excitement a once in a lifetime experience demands. 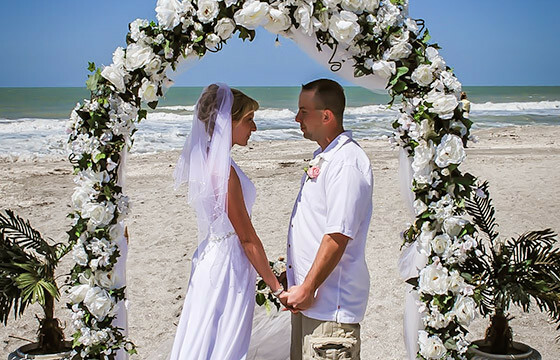 We offer unique beach weddings in Florida that are designed to make your wedding day memorable and beautiful. 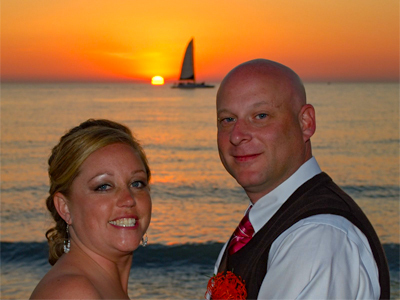 As a destination wedding company, our packages are affordable and accommodate almost every budget. 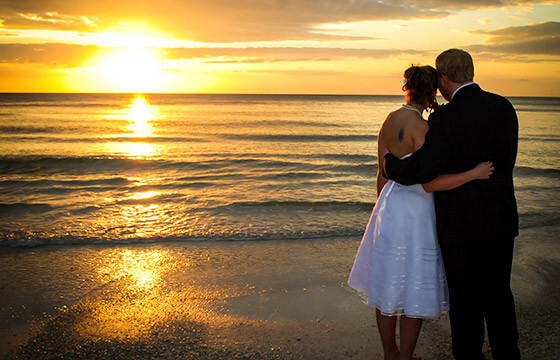 From Clearwater Beach to Naples, we have the perfect location for your big day. Each of our wedding packages include a professional wedding officiate, customized ceremony of your choosing, recorded music of your choice, use of silk ceremony flowers. We can also provide decorations, chairs, greenery, a live musician, and tropical accessories to add that extra special touch to your wedding ceremony. A truly romantic and customized ceremony is what we specialize in. 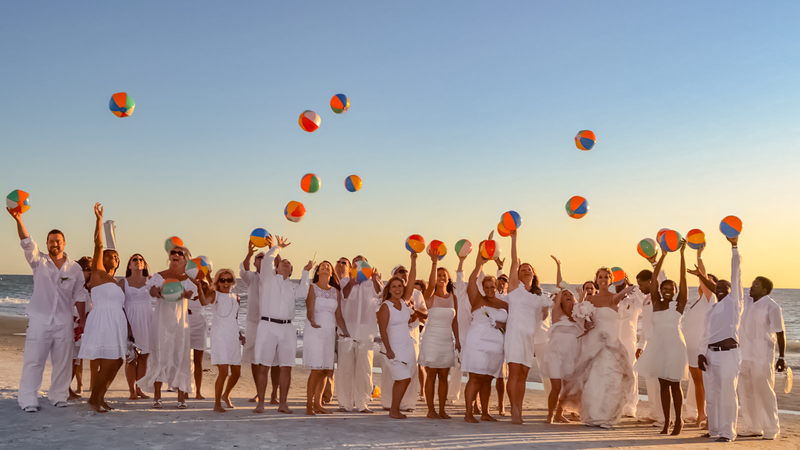 Plus, when you choose us for your beach wedding, you get our experience and dedication to the success of your wedding day. 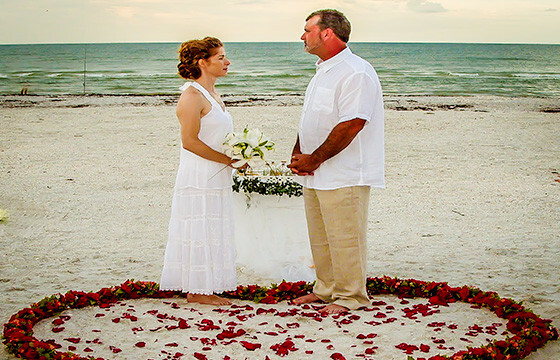 People are amazed when we tell them one phone call took care of everything -- the location, the officiant, the flowers, the photography, the music, all the details of the ceremony! Literally all we had to do was show up. Tom & Carol did a fabulous job in catering to our every need! 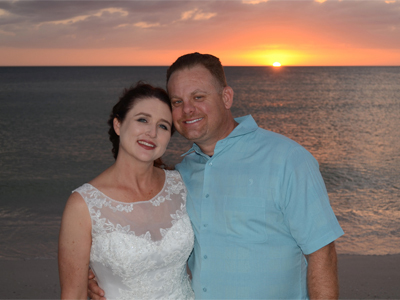 We live in TN, and have always dreamed of having our wedding at sundown, barefoot, and on a beach! They helped make our dream come true! Clearwater Beach was voted #1 beach in 2018 by TripAdvisor, with its wide white sand beach and beautiful sunsets. 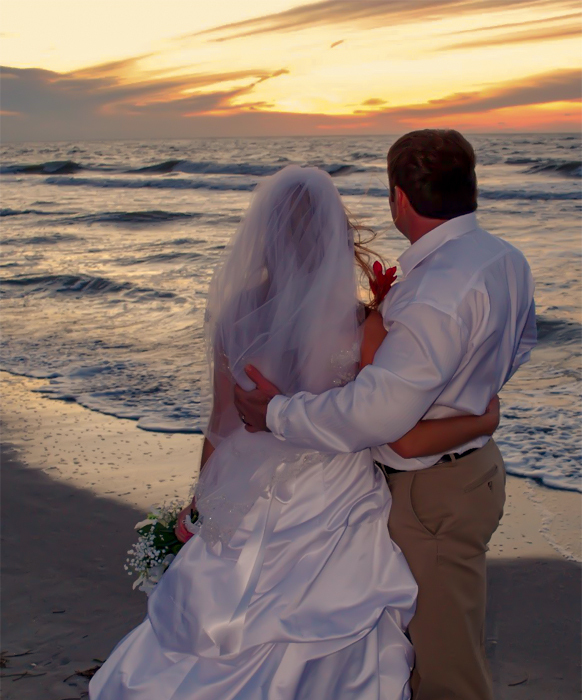 Our affordable wedding ceremonies with a gulf coast backdrop are a perfect fit for your special day. 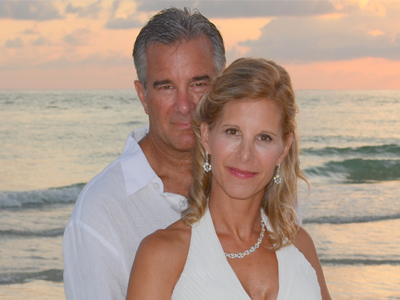 You certainly won’t forget saying your vows on the beautifully groomed beaches of Clearwater Beach.